Will Jameis Winston be back at quarterback for Tampa Bay Buccaneers on Sunday? 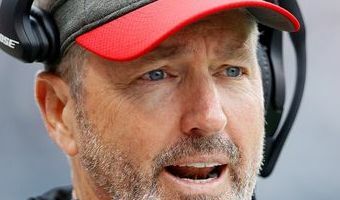 Tampa Bay Buccaneers coach Dirk Koetter has a decision to make: Stay with the journeyman quarterback who's made NFL history in the Bucs' first three games of 2018 or re-insert the starting QB of the previous three seasons whom the team already has agreed to pay $20,922,000 in 2019. It wasn't supposed to be much of a choice when Jameis Winston returned from a three-game, NFL-imposed suspension. Winston joined the Buccaneers as the first player picked in the 2015 NFL Draft, and he's started all 45 games in which he's played since. Ryan Fitzpatrick was to keep the position warm until Winston's return. With his seventh NFL team in his 14th NFL season, Fitzpatrick became the first player in league history to pass for at least 400 yards in three consecutive games. He led Tampa Bay to victories in its first two games before a 30-27 setback against the Pittsburgh Steelers on Monday night. When the Buccaneers play the Chicago Bears on Sunday, who will be Tampa Bay's quarterback? "I … [Read more...] about Will Jameis Winston be back at quarterback for Tampa Bay Buccaneers on Sunday?